While on holiday in North Wales last month, it was lovely to head to the very end of the rugged Llŷn Peninsula and get a great view of one of the most well-known local-stamp-issuing British islands – Bardsey (or Ynys Enlli in Welsh), just a couple of miles offshore. Parking in the National Trust car park in the pretty village of Aberdaron, we fuelled up on tasty fish and chips at the nearby Ship Hotel before heading out on a magnificent but fairly challenging 7.5-mile circular walk around the very tip of the peninsula. Getting to the island itself – which you can do, via the Bardsey Island Boat Trips service – requires an early start and more time than we had, but the island still makes its presence felt through much of the walk. After a mile or so you pass the slipway at Porth Meudwy where the distinctive yellow boat to Bardsey departs from, but you have to reach the imposing headland at Pen y Cil, another mile or so beyond, before you finally get to see the island across the Bardsey Sound. 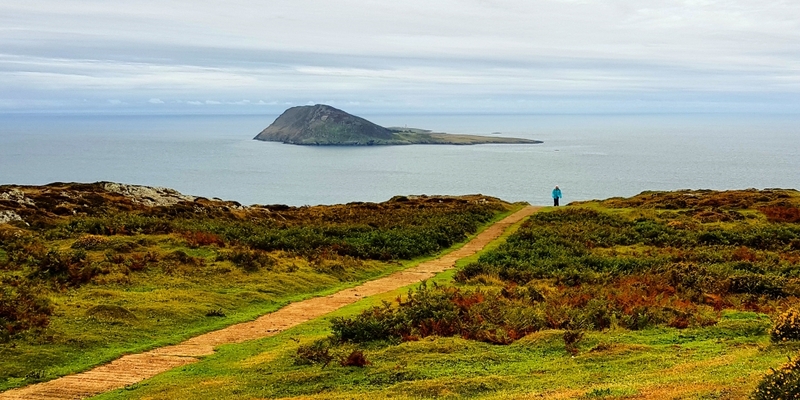 The best view, though, is when you reach the furthest point of the walk at Mynydd Mawr (which translates, appropriately, as “Big Mountain”), where the summit offers a magnificent view not only towards Bardsey but in all other directions as well. As you can see from the photo above, you get to appreciate not only the island’s topography, with the contrast between the western plain and steep Mynydd Enlli, but also the various buildings dotted around the island, including the distinctive red and white striped lighthouse that has appeared on a Bardsey stamp! 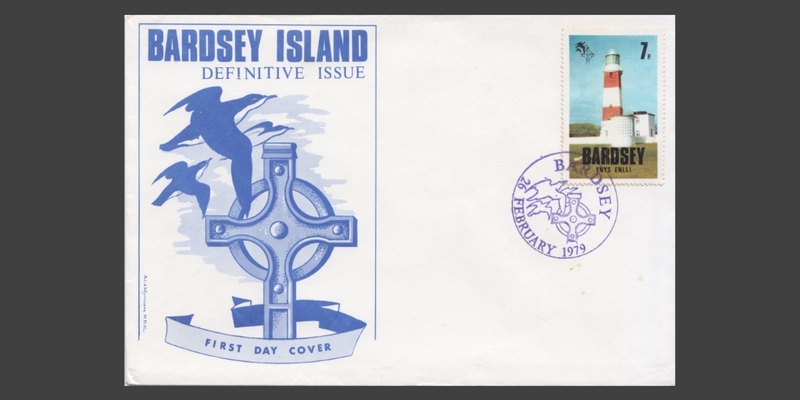 That brings us nicely on to the main focus of this blog post – Bardsey’s stamp issues. 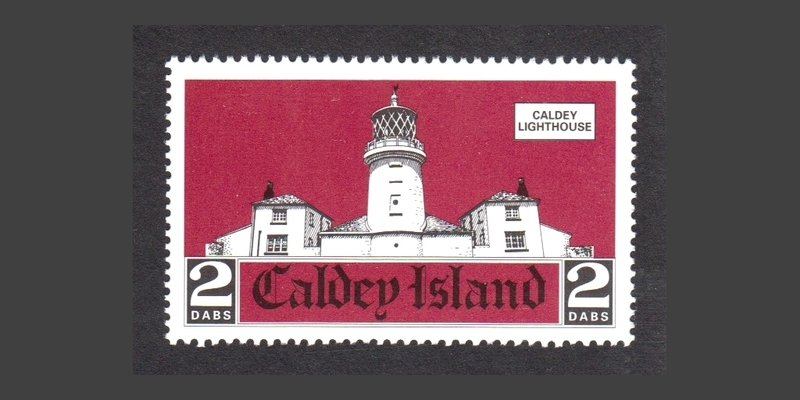 The island has been owned by the Bardsey Island Trust since 1979, and the Trust issued its own local carriage labels between 1979 and 1982. 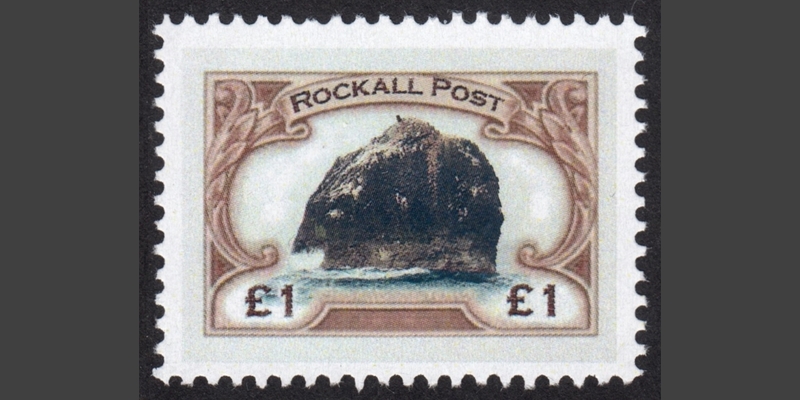 These were supposedly for its own postal operation, to supplement the one-day-a-week service provided by the British Post Office, and to help generate funds to support the Trust’s work managing the island. 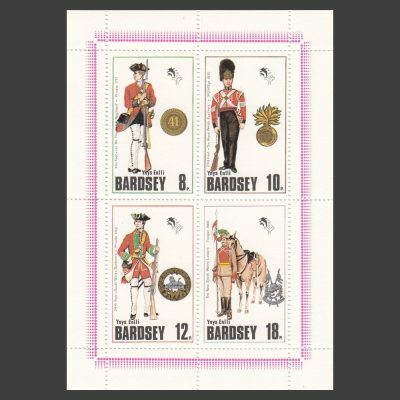 Fifteen well-designed issues were produced over this period, all printed by Format International Security Printers Ltd, though the extent to which they performed a genuine postal function is unclear. 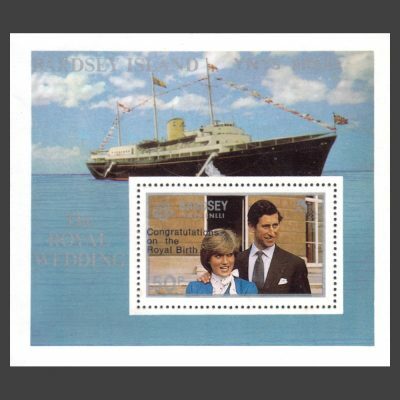 Welsh castles, the Royal Wedding, and the Prince of Wales’ 1980 visit to the island were among the themes that featured. 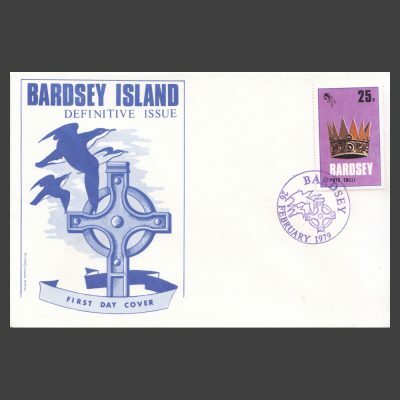 An article on the Golowe’s Stamps website includes further background and illustrations relating to Bardsey’s stamps during that period. 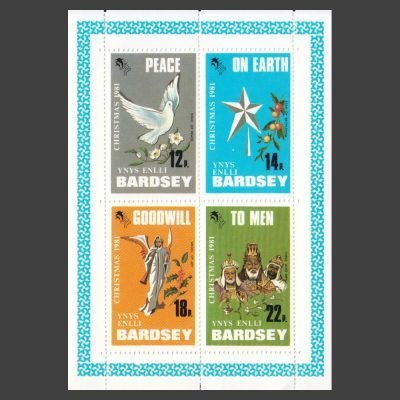 More recently, though, Bardsey’s philatelic history has come back to life with a series of new stamp issues bearing its name. 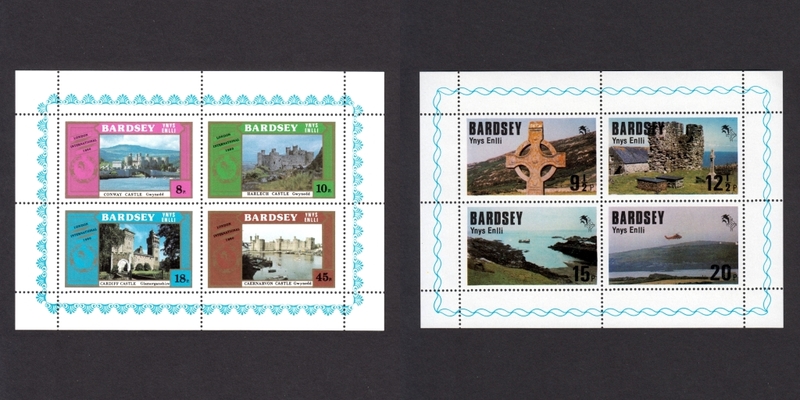 In 2015, an attractive new £3 miniature sheet inscribed with the Bardsey name appeared – featuring a view quite similar to the one in our photo – followed by a £1 stamp in 2016. 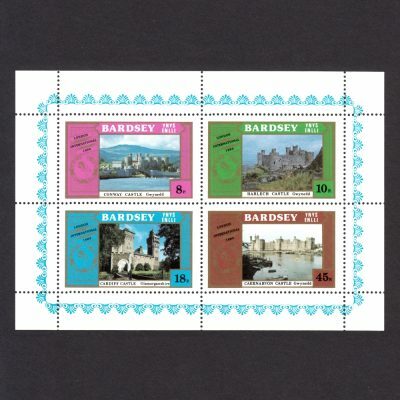 For now, at least, those are the only new issues that have appeared, and they do seem to be fantasy issues produced privately by Anglesey-based Martin Husband, rather than a resumption of ‘official’ Trust-issued Bardsey stamps. 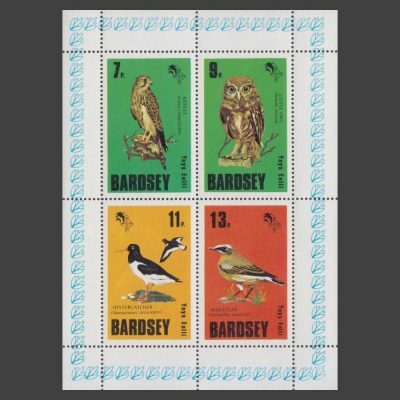 Nevertheless, they continue Bardsey’s tradition of good-quality stamp designs (unlike the more dodgy artwork and printing seen with issues for Staffa and elsewhere), and it’s no bad thing at all if they ignite new interest in Bardsey’s original stamps from nearly 40 years ago. 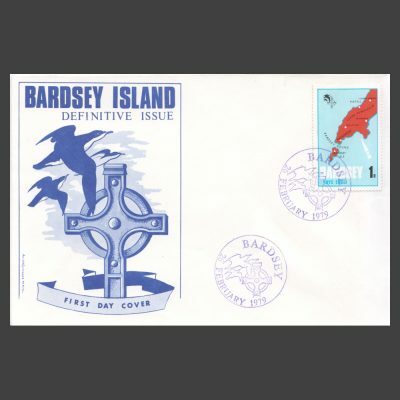 That said, judging from how quickly the stamps in our Bardsey section seem to sell out anyway, there appears to be plenty of interest in this lovely and fascinating little island already. What’s the story behind this Goat Island Cinderella label?